Comfy & self shaping, Head & Neck Support. Perfect ergonomic profile for stress-free sleeping comfort. 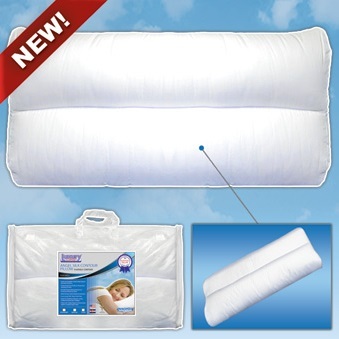 Provides proper sleeping posture for enhanced breathing ability. Luxuriously Soft, Silky plush feel. Great for Side/Back sleepers. Gently cradles sensitive ear cartilage. "Stay Cool" Sleep design conducts away heat for a better night's rest.